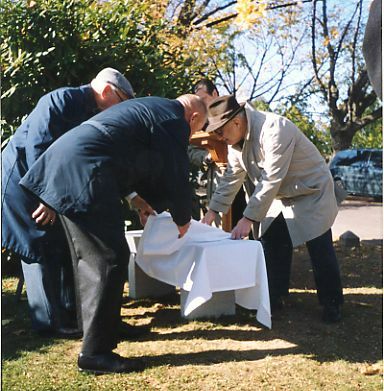 The investigators and other interested persons traditionally visit the unknown boy's gravesite at Ivy Hill Cemetery each year on the anniversary of his discovery (February 25th.) and the anniversary of his reburial (November 11th.) Other than the first year (November 11, 1999) and the fifth year (November 11, 2003), these are not official events, and no formal services are conducted. 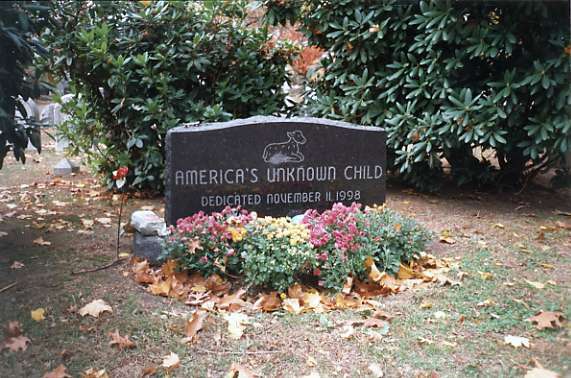 Of course, the grave of America's Unknown Child can be visited at any time during the year. Ivy Hill Cemetery is located on Easton Road in northwest Philadelphia, near the Montgomery County border. From North of Philadelphia: Take the Pennsylvania Turnpike to Exit 339 (Fort Washington). Then take Route 309 South to the Mount Airy Exit. That exit merges into Easton Road. Proceed south on Easton Road. You will pass Holy Sepulchre Cemetery on your right. Go straight through the Cheltenham Avenue intersection, and continue past the traffic lights at Wadsworth, Pickering, Michener, Williams and Thouron. Ivy Hill Cemetery's main entrance will be on your right, just after you pass Thouron Street. From South of Philadelphia: Take Interstate 476 North to Plymouth Meeting or Route 202 North to King of Prussia. Take the Pennsylvania Turnpike East to Exit 339 (Fort Washington) and then follow the directions given in the preceding section. From Center City, Philadelphia (City Hall): Take Route 611 North (Broad Street) to Stenton Avenue. Turn left onto Stenton Avenue and proceed west to Easton Road (approx. 1.5 miles). Turn right onto Easton Road. After you pass Lynnewood Street, look for Ivy Hill Cemetery's main entrance on your left. The grave of America's Unknown Child is located just inside the main entrance. 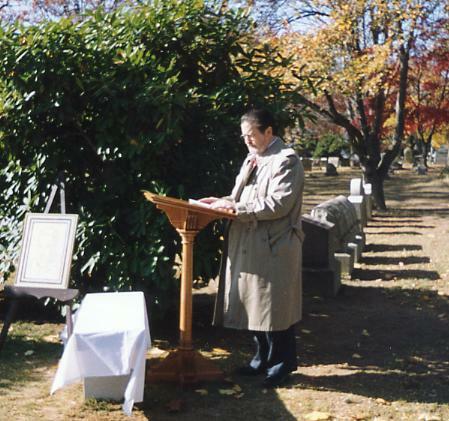 A view of the America's Unknown Child gravesite at Ivy Hill Cemetery, Philadelphia a few minutes before the start of the memorial service that was held on November 11, 1999. 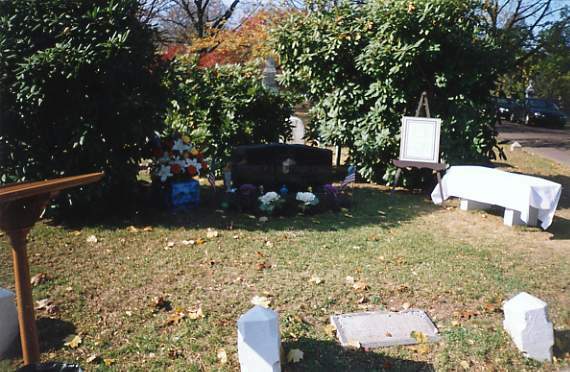 A color sketch of the boy was on display near the black granite headstone. 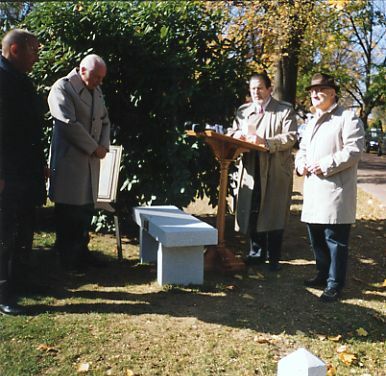 Further to the right, under a white cover, was a granite bench that was donated by the Vidocq Society. At the foot of the grave, the boy's original grave marker can be seen. William L. Fleisher, V.S.M.,Commissioner of the Vidocq Society, delivering introductory remarks. 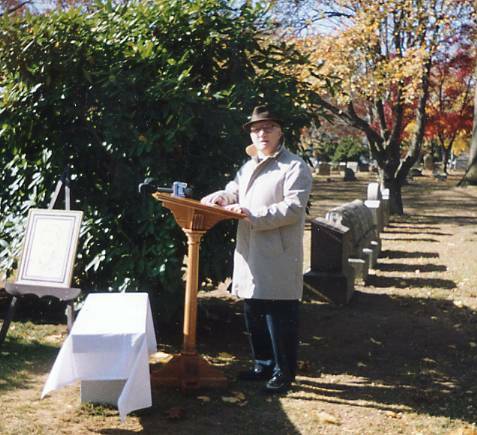 Sam Weinstein, V.S.M., head of the Vidocq Society's Boy in the Box investigation, offers the prayers of several religions for the dead boy. Vidocq Society members and retired Philadelphia police officers prepare to unveil the granite meditation bench. 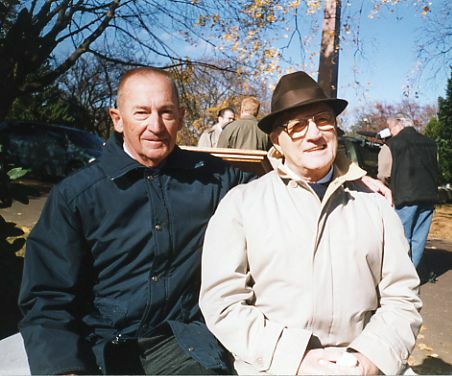 Elmer Palmer (left), and Sam Weinstein (right), the first and second police officers to arrive at the discovery site in 1957. Palmer and Weinstein began serving with the Philadelphia police department on the same day. The grave of America's Unknown Child adorned with flowers. Investigators and veteran police officers pay tribute to the unknown boy. (L to R): William Kelly, VSM; Joseph McGillen, VSM; William Fleisher, VSM; Sam Weinstein, VSM; Elmer Palmer. Another group photograph at the unknown boy's grave. Stanley Olkowski, Deputy Inspector General - City of Philadelphia (center), flanked by Messrs. Kelly, McGillen, Fleisher, and Weinstein. 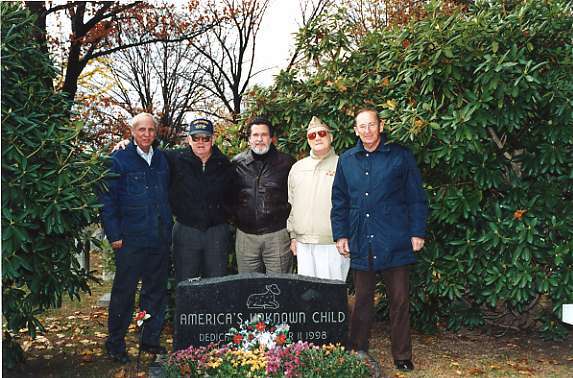 A third group photograph at the unknown boy's grave. (L to R) George Knowles, Joseph McGillen, William Fleisher, Sam Weinstein, and Elmer Palmer. Prayers were offered and sentiments expressed. George R. Knowles, Administrator of the America's Unknown Child web site, and William L. Fleisher, Vidocq Society Commissioner.